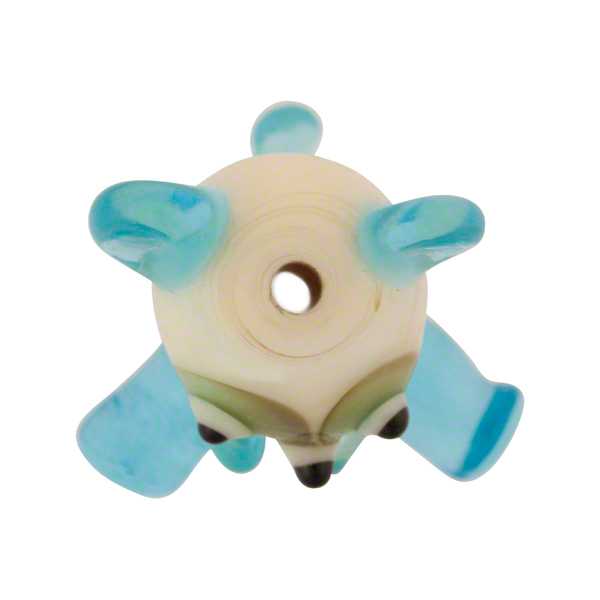 Aqua and ivory lampworked Murano glass bead in a teddy bear shape, approximately 30mm top to bottom and about 22mm across. 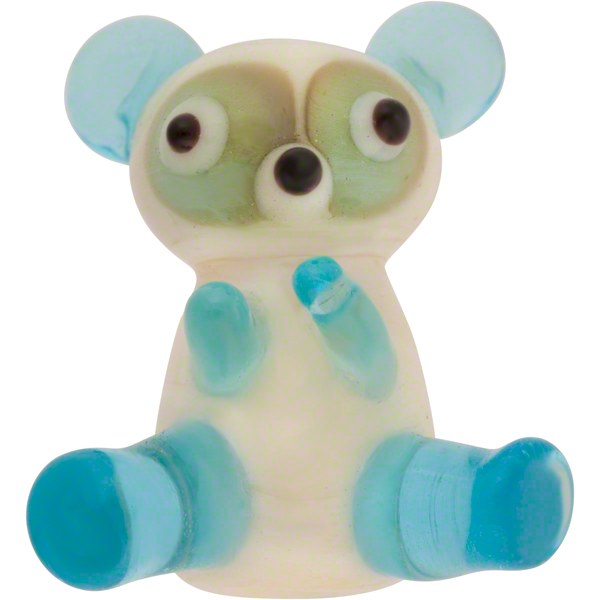 The lampwork teddybear body is ivory Murano Glass (so it has tones like an ivory tusk) with transparent aqua ears, limbs and tale. Little dots for eyes finish him off. Authentic Murano Glass handmade in Italy.